This afternoon I headed up to Sarnia to check some odes at Logan's Pond. I received word from a friend that he had seen a Comet Darner. 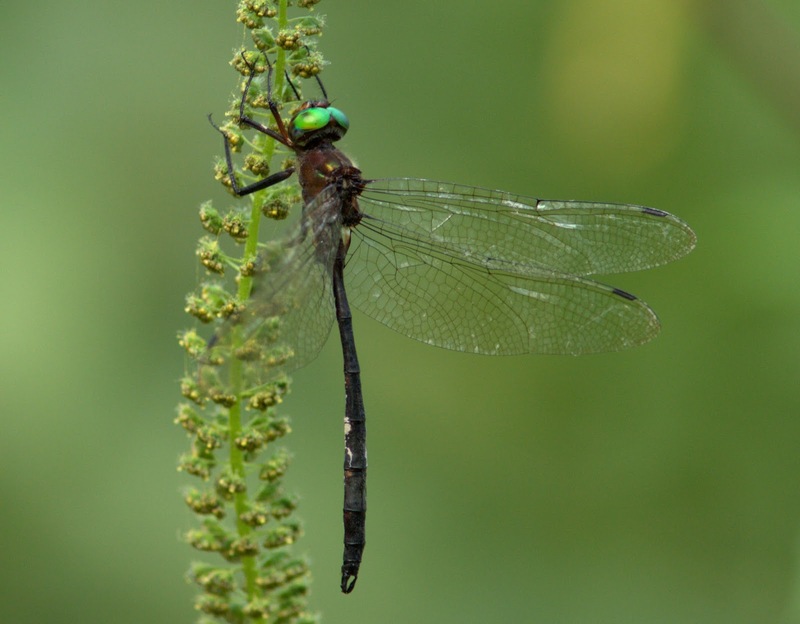 This species is rare in Ontario but found in some certain isolated locations and are quite often found at old quarries. Logan's Pond was once a quarry. Within the first minute at the specified location, I saw one cruise by low, along the shoreline of the pond. I spent some time waiting for another, but it never materialized. For the last couple of years, I tried to see this species here, but it was always on the weekend when (you guessed it) the weather was not ideal. Today there was a good variety of odes at the pond. 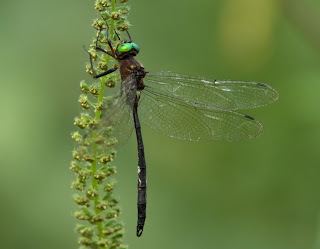 On the way home I stopped at Moore WMA in hopes of seeing Mocha Emerald. After some time there, I was about to give up when one finally flew by. They like the little shaded creek. They seem to have a regular routine of going down the creek, then coming back, and repeating the process. They never seem to stop, so one needs a net. Here is one from last year at the same location. At the river crossing, an American Snout briefly paused. There is Hackberry here and I have seen them before. Tawny Emperor was also out today. Some butterflies were checking out the Purple Coneflower. I also stopped at my favourite CA (Reid). Dukes' Skippers are plentiful right now, and I saw at least a half dozen today in the one area.